The Design Commission approved Block 216, a 35-story mixed use building designed by GBD Architects and PLACE landscape architects. The project will include retail, office, hotel, and residential condominium uses, with a 342 stall underground parking garage. The project is being developed by BPM Real Estate Group. 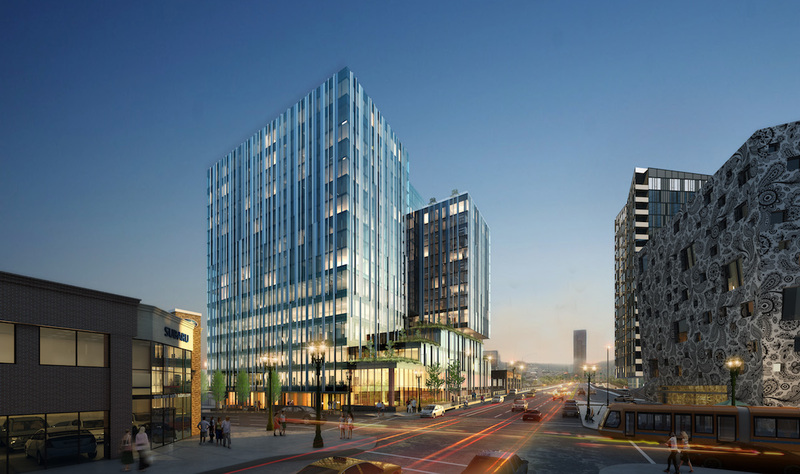 GBD Architects and PLACE landscape architects have gone in front of the Design Commission to present a 35-story mixed use building proposed for downtown Portland. The Block 216 tower would include retail, office, hotel, and residential condominium uses, with a 310 stall underground parking garage. The project is being developed by BPM Real Estate Group. 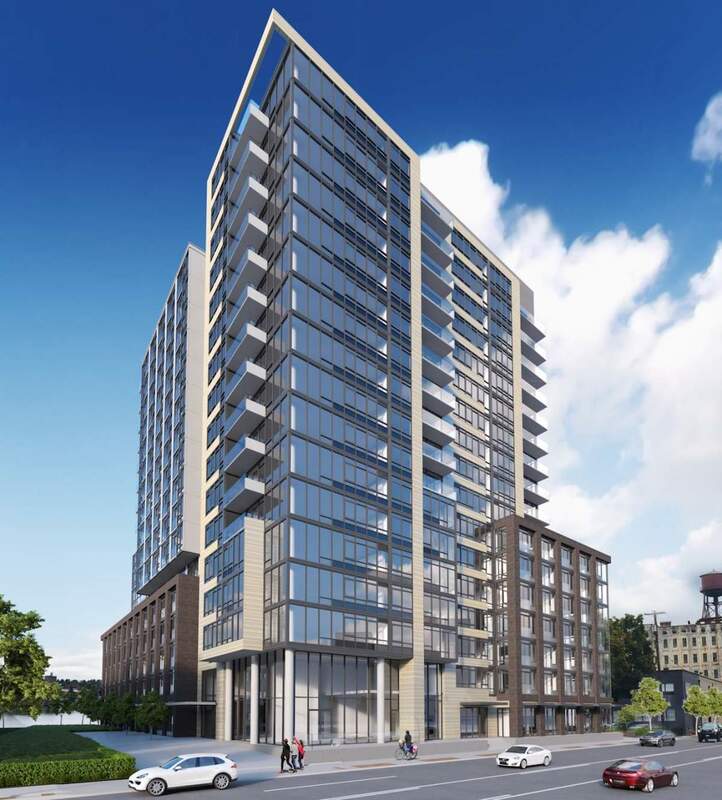 The Design Commission has approved the Fremont Place Apartments, a 17 story tower designed by TVA Architects. 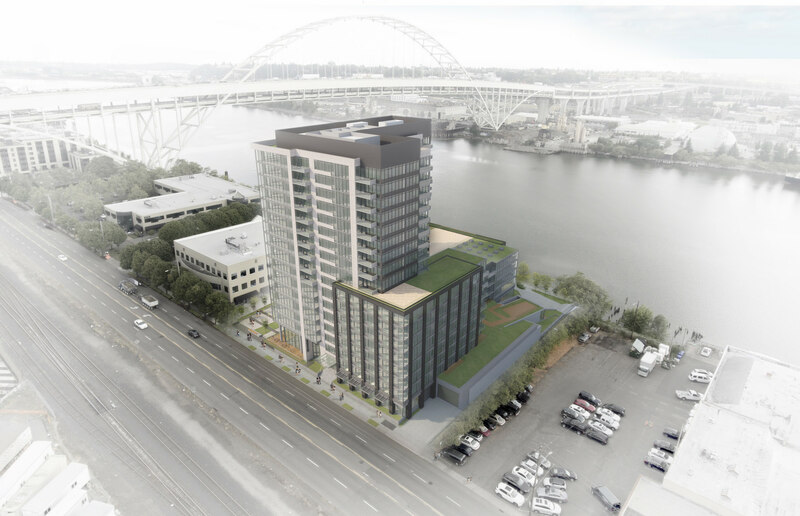 The 185′ tall building, being developed by the Lincoln Property Company, would include 275 residential units and a ground floor restaurant space facing the Willamette River. Parking for 149 cars is proposed in an underground garage. 481 long-term bicycle parking spaces as also proposed, with 206 provided in a bicycle parking room and the remainder in the residential units. The Design Commission approval now been appealed to City Council by the board of the Pearl District Neighborhood Association. The Design Commission has approved the Block 290 development at NW 21st and Pettygrove. The project by LRS Architects and PLACE Studio for Guardian Real Estate Services will include a new publicly accessible square, surrounded by a mixed use building of four to seven stories in height. The project will will include 201 residential units over ground floor retail. 120 vehicular parking spaces are proposed in a below grade garage. Design Advice has been offered to TVA Architects for Fremont Place, a 17 story tower planned for a site immediately northwest of Centennial Mills. The building, being developed by the Lincoln Property Company, would rise to a height of 184’-6” and include 270 residential units. Parking is proposed in one or two levels of below grade parking. Ground level retail is proposed facing Naito Parkway, with the possibility (not yet shown in the drawings) of retail facing the Willamette Greenway. 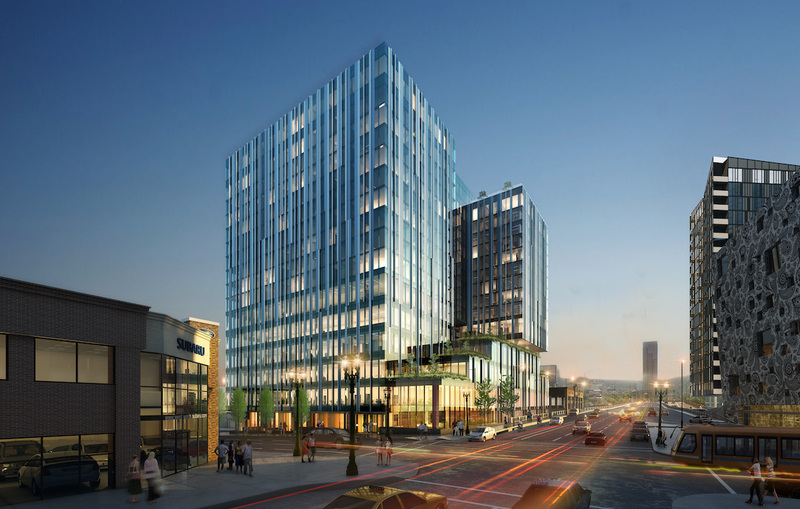 The Design Commission has approved 5 MLK, the 17 story Burnside Bridgehead tower. The design of the project is by Chicago based GREC Architects, for Portland based developer Gerding Edlen. The 200′ tall building will include approximately 112,000 sq ft of office space, 220 residential apartments and 14,000 sq ft of retail space. Parking for 158 vehicles and 344 bicycles will be provided. An initial design review hearing has been held for the Block 290 development at NW 21st and Pettygrove. The project by LRS Architects and PLACE Studio for Guardian Real Estate Services will include a new publicly accessible square, surrounded by a mixed use building of four to seven stories in height. The project will will include 201 residential units over ground floor retail. 107 vehicular parking spaces are proposed in a below grade garage. 5 MLK, the 17 story Burnside Bridgehead tower, has returned in front of the Design Commission for its first full Design Review hearing, following three Design Advice Request hearings last year. The design of the project is by Chicago based GREC Architects, for Portland based developer Gerding Edlen. The 200′ tall building will include approximately 112,000 sq ft of office space, 220 residential apartments and 14,000 sq ft of retail space. Parking for 158 vehicles and 344 bicycles will be provided. The Historic Landmarks Commission has approved the Multnomah County Central Courthouse. The 17 story, $300 million project will replace the existing courthouse on SW 4th Avenue, which is considered seismically unsound and no longer fit for use. The architects for the project are Portland based SRG Partnership and New York based CGL RicciGreene. The landscape architects are PLACE. The program for the 325′ tall building includes multiple courts, office for District Attorneys, Public Defenders, Sheriffs, as well as support areas for staff, juries, defendants and the public. No parking is proposed. The project intends to achieve LEED Gold Certification.